For some of us, in the Midwest and East Coast, the changing colors and falling leaves of Autumn signal one thing - that it’s almost time to put away the bike for the winter. “But I ride ALL winter!” some of you in warm climates say - we would too, if it weren’t for the treacherous combination of snow, ice, freezing temps, and worst of all.. ROAD SALT! So, if you’re along the sunnier coast and can ride daily, this article isn’t for you. But the rest of you - you know, those of us in snowy climates - it’s time to start preparing. The two best options you’ve got in the winter are to either tear that moto apart and do some upgrades, or to winterize it properly so you come back to a motorcycle that’s ready to ride. Go for a ride first! Get some more miles on that bike, run through that old fuel, and spend some quality time before you leave it in the garage for a season! Wash your bike. Well! Scrub well in all those nooks and crannies, and get all that summertime dirt out. Use your favorite bike cleaning products, and consider giving a full polish or wax job to really protect your investment. 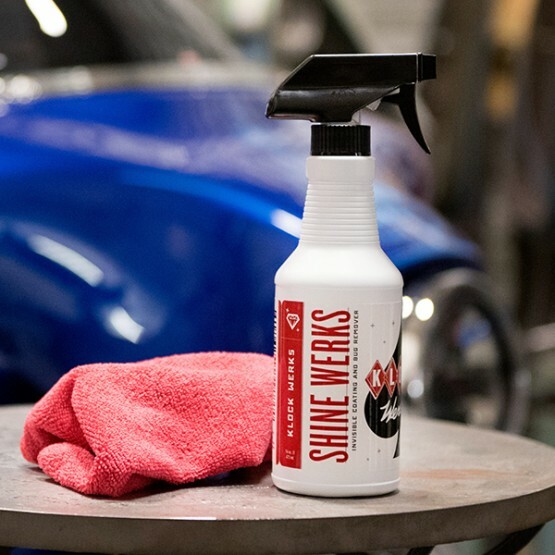 A favorite around here is KlockWerk’s Shine Works products. Don’t forget to condition or take care of your seat and leather or vinyl parts, too! 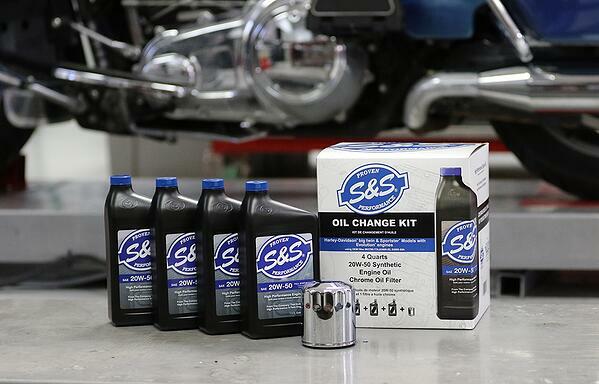 Change your oil and filter - you wouldn’t want that used oil sitting there all winter, would you? Give your bike a full service before you park, and you’ll be ready to go as soon as that warm weather hits. We’ve got kits for most bikes over on sscycle.com! Keep that battery going. 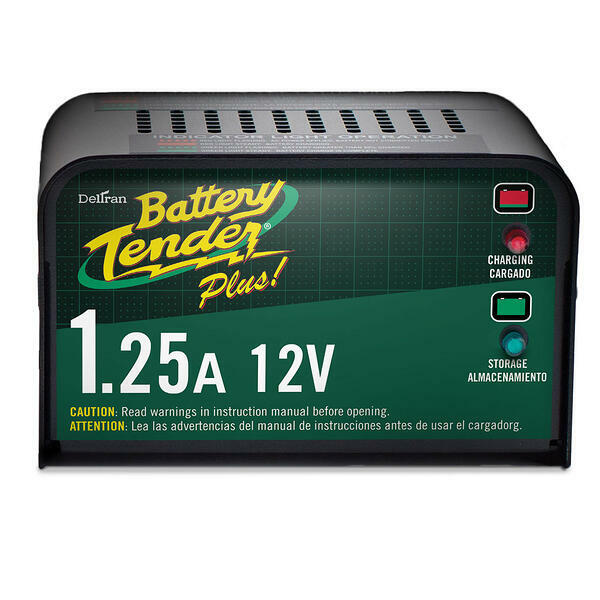 A Battery Tender, plugged in to the wall and to your bike will keep that expensive battery charged up and save you an expensive purchase in the spring. Battery SAE leads make life easy here, you can leave it on year round, and you can get USB chargers or a coax plug, that plug right in too! 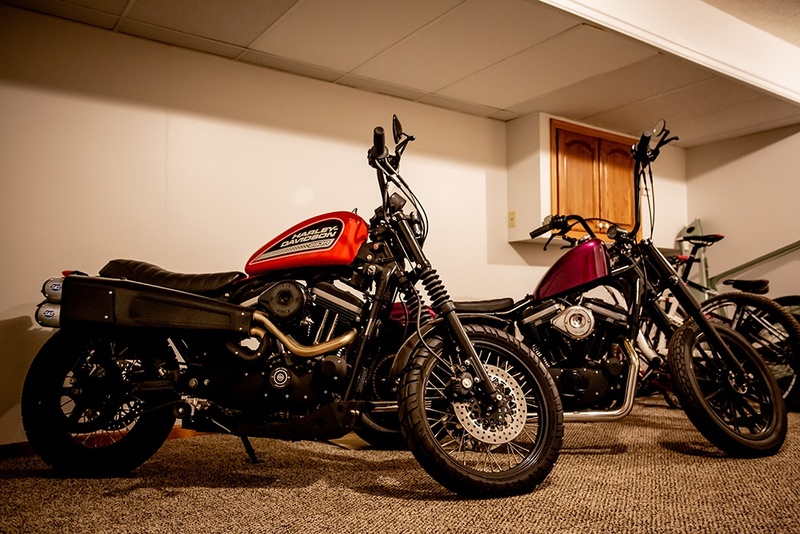 Alternately, take the battery out of the bike and bring it indoors. Stabilize your fuel! 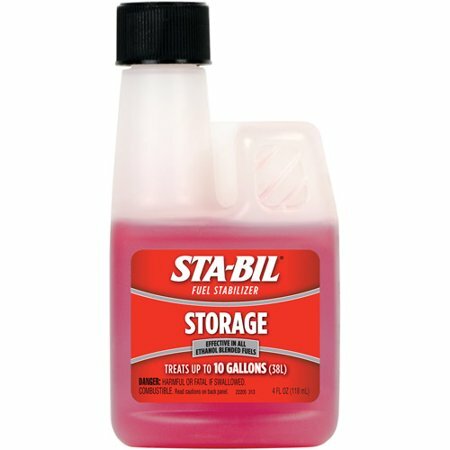 You have two options here - you can completely drain the fuel from your tank (and carburetor, if you’re running one like our Super E) or you can stabilize your fuel with a chemical option - like Sta-Bil. Fill your tank completely full with fresh fuel, (preferably non-ethanol) add the stabilizer, and run for a few minutes to treat the whole system. Oh, and don’t forget to turn your petcock to “OFF” if you’ve got one! Are you water-cooled? If so, check or change your coolant/antifreeze before storing. Check the rest of your fluids - brake fluid, transmission fluid, etc. and change, or top them off. Lube it - Take some time to lube any moving parts - like a chain, cables, and pivot points like the swingarm. 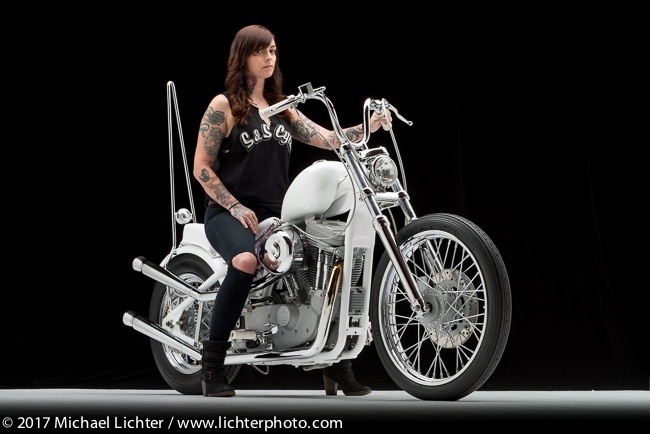 Lift it up - this one is more on personal preference, but a lot of folks prefer to keep their bike on a stand or lift, getting the tires off the ground to prevent possible flat spots. Another method here is to inflate the tires to max cold inflation pressure, or to roll the bike a bit each week to rest on a different part of the tire. Cover it up - invest in a quality cover to keep dirt, pests, and moisture away from your bike. Consider covering or plugging parts like the mufflers and air cleaner if you’re in an area where pests like rodents and bugs may look at your muffler as a shiny new winter home! Now, if you manage to sneak out for a winter ride, don’t forget to re-treat your fuel! If this sounds like you, consider keeping a pre-treated can of gas handy. And consider yourself lucky, in the area around S&S they use a lot of salt on the roads, so we don’t get wintertime rides too often! Remember, maintaining your bike is cheaper than repairing it!